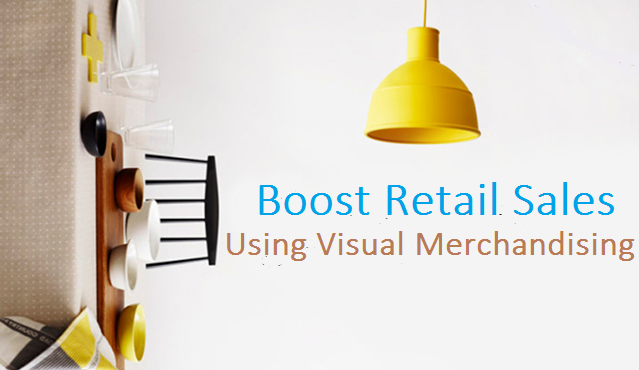 How Can You Boost Retail Sales Using Visual Merchandising? How many times have you read about a major retail chain struggling in the news recently? Despite these reports being fairly regular, there are ways to retail stores to maximise their sales revenue — with visual merchandising one such opportunity. Designing the layout of a whole shop floor strategically is what visual merchandising is all about. This includes the shelves and product displays, so to provide a more engaging, exciting and ultimately profitable consumer experience. Don’t fall into the trap of believing that just placing products in a certain place so that they capture attention is all what is meant by visual merchandising though. There’s a science behind why certain presentations, structures and even colours deliver a better experience than alternative arrangements, and it’s been established that a strong visual display can raise turnover and strengthen your brand; even inspiring customer loyalty in the process. Now you know what visual merchandising is, here’s how to go about creating an effective strategy that should see you avoiding the difficulties that have been witnessed by brands such as Toys R Us and Maplin? Retail merchandiser and stylist Jessica Clark states: “Things that are easy to look at will be passed over, and things that are too outlandish will be offensive to the eye.” This goes for colour as much as anything. Contrasting colours at the opposite side of the colour wheel can help grab attention — think black and white or scarlet and jade — but creating a multi-coloured display of uncoordinated colours may turn people away. Worldwide retail sales have been forecasted to reach USD 27.73 trillion by the time we reach 2020. As a result, there’s clearly scope for your brand to maximise its profits and get a share of this growth in the next few years. When you begin your own visual merchandising strategy, take the time to consider the products that you want to be using to draw the attention of your consumers. A tip here is to go for what you think your customer wants — not needs. According to a study by Raj Raghunathan and Szu-Chi Huang, emotional responses are influential in our purchasing choices — which is why you should focus on giving the customer something to desire. Use any focal visual merchandising displays in your stores for your most high-end and newest products. This is because they will attract the customer who is looking for a treat purchase and enhance your chances of high-cost conversions. You could also use banners alongside these displays to present promotional offers for luxury items that you want the consumer to take notice of — and buy! Does your stores have ‘decompression zones’? The perfect decompression zone should be greeting customers who head into your store when you’re looking to give them an idyllic shopping experience. This area of a shop is found just a few feet inside the main entrance and is believed by psychologists to elevate a shopper’s mood, acclimatise them to the store’s surroundings and get them ready for the shopping experience. Research has shown that 98% of people will make a turn to the right upon entering a shop. Why not use your decompression zone to create a ‘circulation route’ from the right side that leads around your store for a smoother customer journey? Or, try placing your best products at the right of your decompression zone, if this is the most likely route consumers take. The group products at your store may well determine whether your visual merchandising strategy ends up being a success or a failure. A recent report found that exposing your shopper to the maximum number of products is a tactical method when carrying out visual merchandising. However, don’t make your displays look crowded. Utilise different display furniture, such as mannequins, racks and shelves — whichever suits the product you’re merchandising — and bear in mind that focal points boost sales by a reported 229%, so ensure that you effectively direct your consumers when they enter your store. Upon setting up several products in a display, bear in mind the ‘Pyramid Principle’ or ‘Rule of Three’ technique. The Pyramid Principle dictates that you create a triangular display, with the biggest item in the middle and the smallest on the outside — which ensures that your display doesn’t look flat and boring. Instead, it will catch the eye, as the products seem to ‘fall’ down towards the viewer. Equally effective is the Rule of Three. Within this, you create attractive asymmetry that shoppers will find engaging. Apparently, humans see asymmetry as normal — which means they pay less attention. By placing product in groups of three, you can create a noticeable imbalance that forces the eye to take in each product individually, as opposed to the display in its entirety — excellent for effectively advertising each item. As this is a guide about visual merchandising, it’s no surprise that we’ve focused on visualisation quite a bit throughout this article. However, don’t ignore the other four human senses. Reportedly, 75% of emotions come from smell and our mood is meant to enhance 40% when we detect pleasant aromas. If you run a fragrance, soap or food retail establishment, are you harnessing the power of smell when it comes to merchandising? Different types of smell can trigger or identify a precise memory or emotion. If you run a bakery and want to evoke a feeling of warmth, cosiness and home-cooking; ensure that your customers can distinctly smell your products baking from the kitchen by setting up the area to waft aromas into the main shop. Similarly, if your brand specialises in soaps and toiletries, place these strategically around your shop floor to avoid clashing aromas. For example, put all the citrus products together to evoke a sense of energy and rejuvenation and keep these far away from lavender and camomile scents, which are more relaxing. Finishing the design of an entire shop floor in a manner that you’re very happy with is always a great moment. However, this doesn’t mean you should let it stay that way. A major part of tactical visual merchandising is moving your presentations as new stock comes in. Don’t let customers get bored of visiting you — keep changing things up and you can make it look like you’re constantly replenishing your stock and bringing in new and wonderful items (even if you’re not). There will only be a limited period of time when promotions and seasonal goods will be of use. Don’t give people the impression that your brand is behind the times or lazy. Instead, change your visual merchandising displays every month and retain the perception of innovation. The methods in which we shop look set to be transformed in the months and years to come. If predictions are anything to go by, ‘the experience’ will become more favoured than just buying goods and services. With visual merchandising, you can ensure that your shop offers something engaging to keep consumers interested — so why not start planning out your shop’s next visual merchandising campaign today? Top Rowing Machines from Brand HCI Fitness – Because We Care for your Fitness!